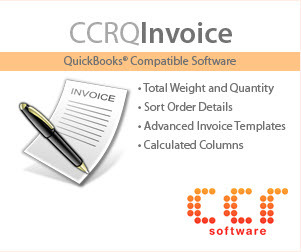 Managing your Accounts Receivable is one of your most important business functions. 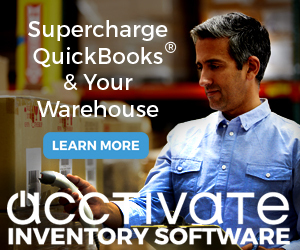 QuickBooks 2011 has added several improvements that will make this task easier for you, including the addition of the Collections Center. Let’s take a look at what they have added. 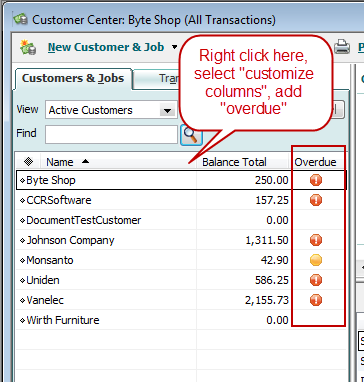 In the Customer Center you can customize the display to add an overdue column. 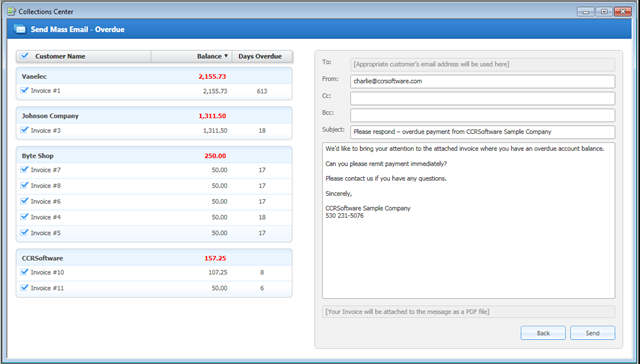 This shows a number of icons that relate to the collections/payment status of your customers. The red icon represents a customer with overdue invoices, yellow represents a customer that has invoices that are nearing the due date. If you hold the cursor over a customer, a “tool tip” pops up that shows the customer collections status. The View dropdown at the top of the customer list provides you with a number of filters that you can apply, to pick out customers with a certain status. 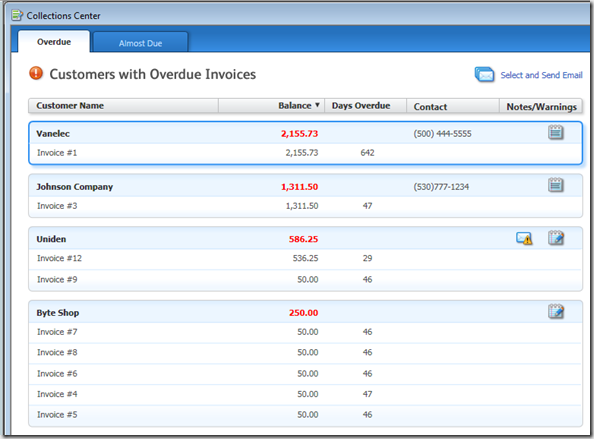 Intuit added the “overdue” and “almost due” options. 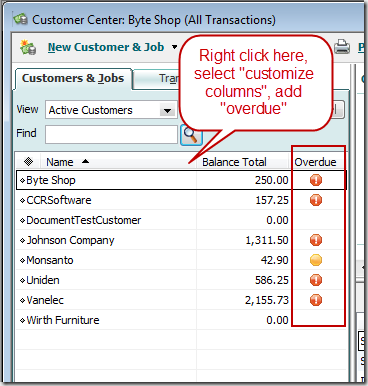 In the Customer Center toolbar there is a new icon, Collections Center. If you click this, it opens another window. The appearance of this window varies a bit from what you see in the rest of QuickBooks, but I don’t believe that this is an online app. You can double-click on an invoice to open it to see the details. Click the Select and Send Email button in the upper right corner, and you have the ability to send a “mass” email to your overdue, or almost due, accounts. 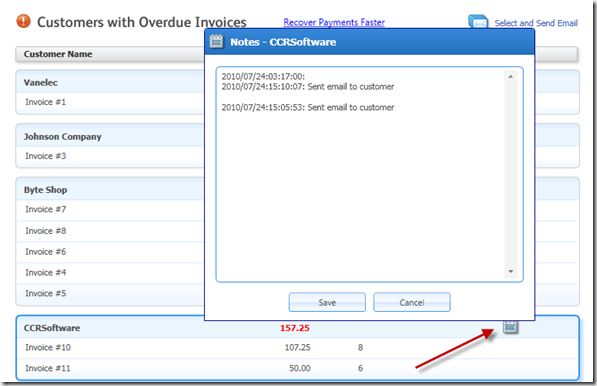 You can select or de-select individual invoices to include. Note that if you none of the listed customers have a valid email address, this button won’t show. If you send emails this way, regardless of which email system you use, the “notes” feature in this window will show you a history of when the notices were sent. 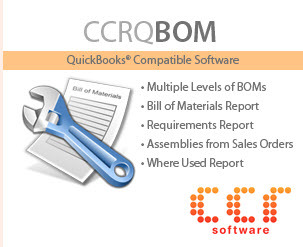 This is a very welcome and useful addition to QuickBooks. Without having used it very much, the main problem I see is that you cannot easily de-select all invoices for a particular customer. You have to de-select the invoices one by one. 1. Does the collections center use the email address on the customer’s address info tab, or does it allow you to enter an email address just for collections? 2. When you enter the notes – are these particular to the collections center, or do they show up on the customer’s main file? Hopefully QB realizes that you need more than one email address per customer. Also – we don’t want to clutter up customer’s notes with the details on collections. Cheryl, this feature does NOT represent a significant change in the data that is being stored – it is an additional way to express the info. That is good from my particular standpoint – if they added more fields to the database then that would just be more data that we cannot access through any of their programming interfaces (they are very bad about making new fields available). The email address is the standard one in the customer record. The notes are the ones associated with the customer/job. This is very helpful. 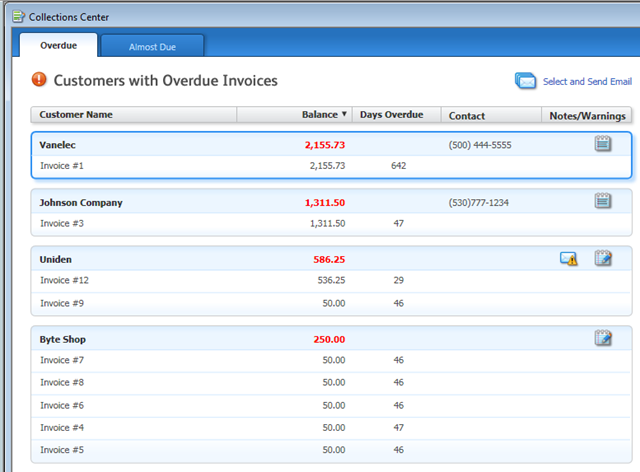 1 question I would like to ask is that, can you put interests on overdue invoices and if so how do you do it? have been trying to find a way for long now. I am using Premier 2008. 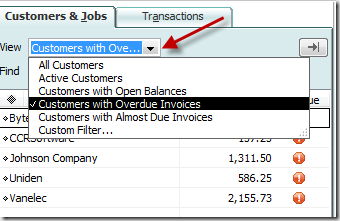 Is it possible to make the notes only invoice specific. 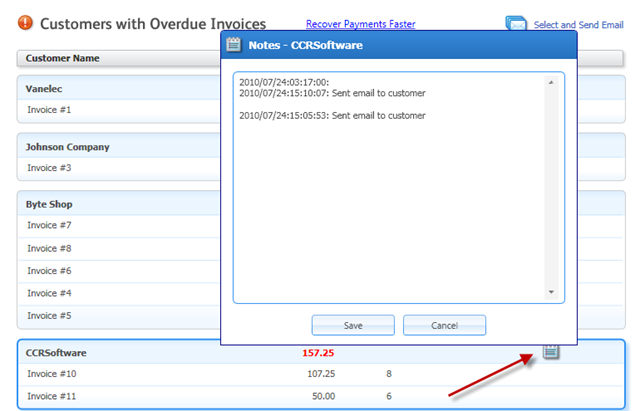 As the invoice is paid and removed from outstanding the only notes remaining would be those for open invoices. What I saw was at the customer level and appears on all invoices? Juan, the notes are not invoice specific. That isn’t the purpose of them in this case. 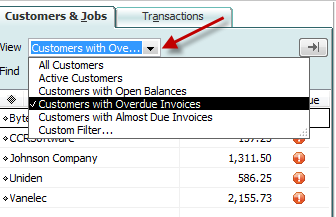 You can use the “memo” field to enter some small notes on a particular invoice (but that shows in statements if you use those, unfortunately).